A light-hearted chase drama inspired by real events, Catch Me If You Can is treat for the eyes and the mind. The story of master con artist and cheque fraudster Frank Abagnale Jr. is a breezy tale told with a bouncy spirit. In New York of the early 1960s, 16 year old Frank Abagnale Jr. (Leonardo DiCaprio) grows up idolizing his father Frank Sr. (Christopher Walken), an independently-minded businessman who constantly runs into money problems. When Frank Sr.'s marriage to passionate Frenchwoman Paula (Nathalie Baye) falls apart due to his financial difficulties and her infidelity, Frank Jr.'s life is shattered and he goes on the run. Having inherited his father's instincts for charming people into parting with money, Frank survives by cashing fraudulent cheques at various banks. Wanting more, driven by a desire to recover all that his Dad lost, and appreciating the power of a slick uniform, Frank pretends to be a Pan Am co-pilot. He starts forging payroll cheques, and is soon flying around the country, amassing a fortune in cash, and leaving a long trail of victimized banks in his wake. 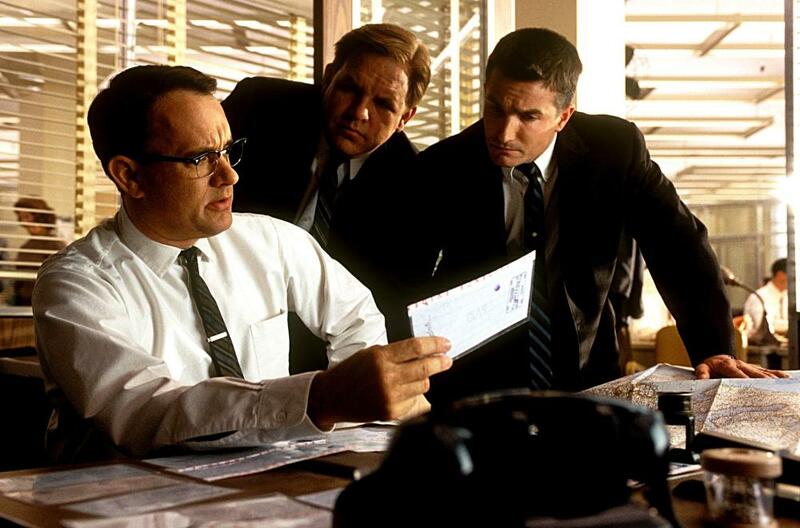 His exploits grab the attention of FBI bank fraud agent Carl Hanratty (Tom Hanks), who starts a years-long pursuit. But the FBI man is always half a step behind the con artist, and Frank has more tricks up his sleeve and new personas to disappear into. 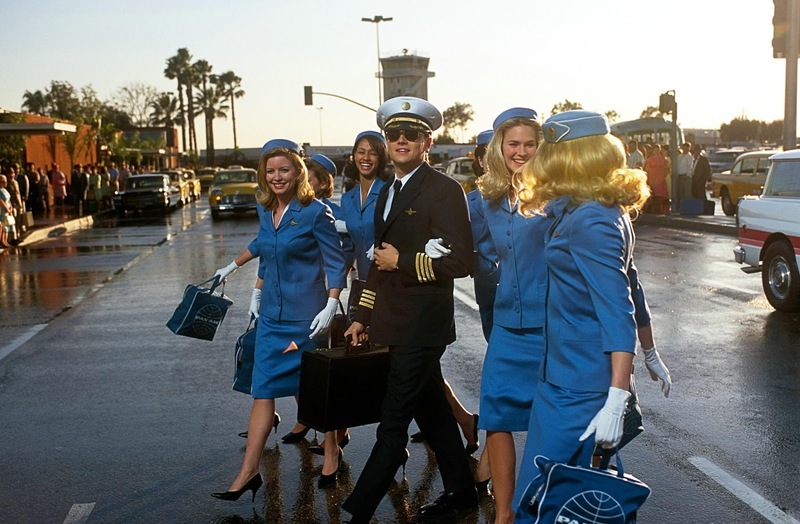 Directed by Steven Spielberg and based on the book by the same name co-written by Abagnale, Catch Me If You Can is an engaging, remarkably entertaining film. Approximately 80 percent based on reality (according to Abagnale himself), the film focuses on one kid on the run possessing extraordinary self-confidence and one dour FBI agent determined to catch up to him. By avoiding all buddy movie and action cliches that could have crept into the narrative, Spielberg and his screenwriter Jeff Nathanson produce an original, funny and character-driven film, with the momentum generated by intellect and the human condition. It's takes a perpetrator and a victim to run a successful con, and the film delights in showing the various ways Frank is able to either get what he wants or escape from sticky situations using confidence and the razzle dazzle of image and props. He's both the struggling mouse and the Yankees in pinstripes. 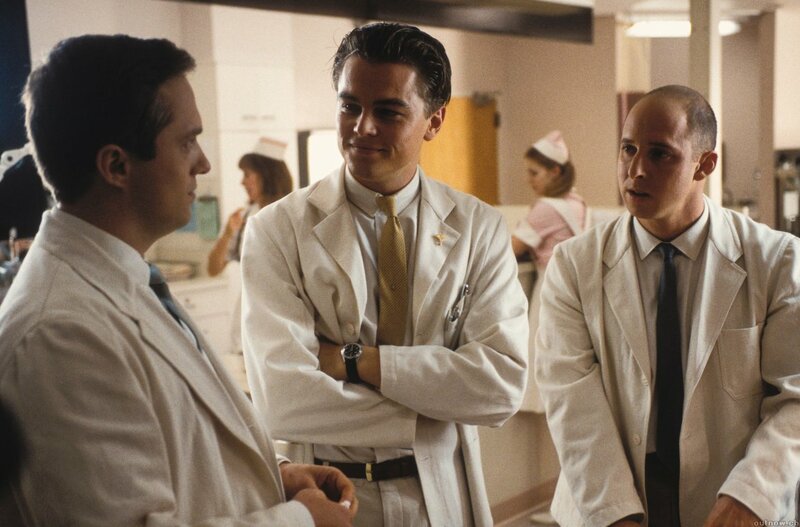 Whether it's a Pan Am pilot's outfit, a doctor's white coat, a shiny pendant, or a wallet full of junk, he distracts and sweet talks in equal measure. He succeeds to the tune of millions in cash, even conniving to get a high class call girl to pay him for a night of pleasure. Compared to real events the film overplays the two key relationships in Frank's life, and that's quite excusable because Spielberg knows what makes a good screen drama. Frank is provided with regular touch points with his father, whose life is on an endless downward spiral that only he fails to see. Frank Jr.'s motivation is to set all that went wrong in his dad's life, but for Frank Sr. the struggle is the life, and he takes joy not in escaping the bucket, but watching his son churn for another day. 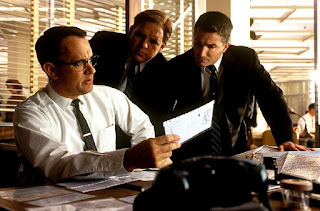 The in-pursuit relationship between Frank and Carl is also enriched for cinematic purposes (and to provide Tom Hanks with more to do). The film features Christmas time phone calls between the two men to affirm the emptiness and broken homes they share, and to build a bond that comes to fruition in the final act. Leonardo DiCaprio and Tom Hanks are both excellent, smoothly building complex characters continuously longing for something just out of reach. Christopher Walken gives Frank Sr. the doomed air of a smart man determined to fight a system that merciless crushes him into nothingness, but that is no reason for him to stop the fight. The rich cast also features small but telling roles for Martin Sheen, James Brolin, Amy Adams and Jennifer Garner. Catch Me If You Can features a stunning throwback opening credit sequence by Kuntzel+Deygas that recalls the best of Saul Bass. A whimsical, curious John Williams progressive jazz music score enhances the 1960s vibe. Cool, creative and captivating, Catch Me If You Can is a cat and mouse game at its finest.